Sharing documents with Jottacloud can be done in two ways. 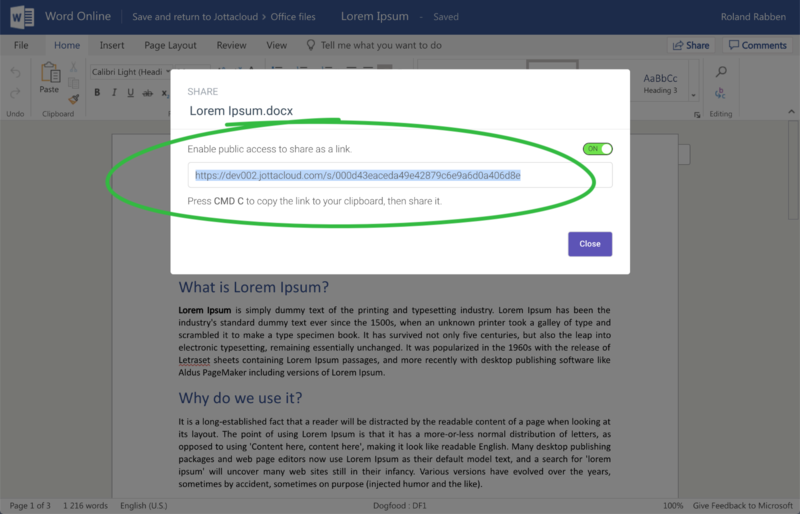 In Office Online you can create a file link directly. 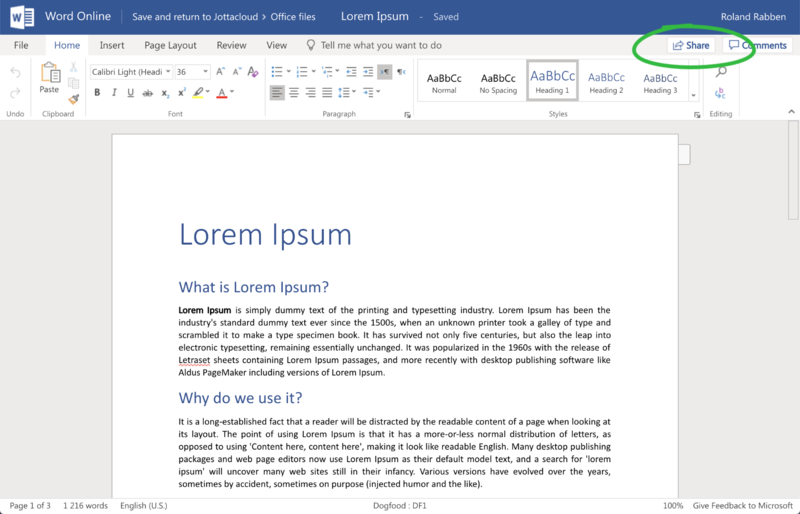 Simply click the Share button near the top right corner of Office Online. This opens the Jottacloud share dialog. 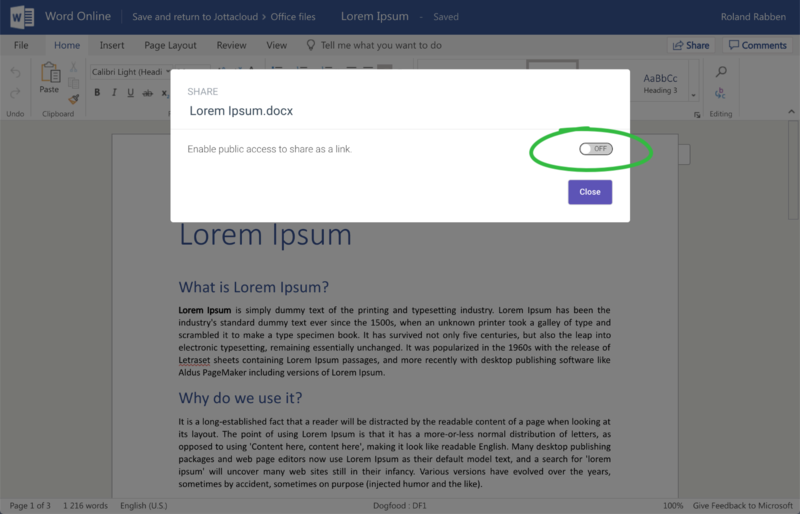 Click the Enable switch to create a public link to the document. Once you have created the public link, you can copy the link and send it to your colleague or friends.